The Marker Colour dialog box lets you set the colour of scene markers that are displayed at the top of the Timeline view (in the frame counter area). Using colours for scene markers helps to differentiate them visually, making them easy to identify in the Timeline view. In the frame counter area of the Timeline view, select a frame range to mark. Right-click and select Create Scene Marker. 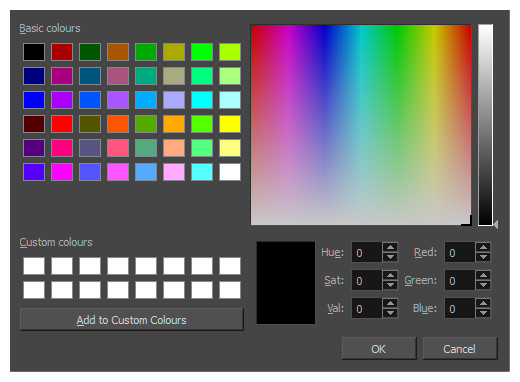 The Marker Colour dialog box opens.